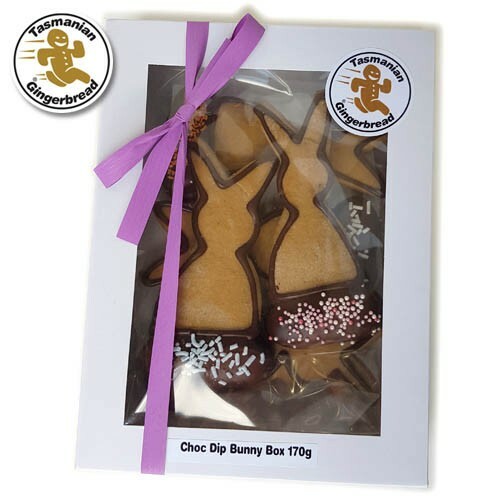 Choc Dipped Box - Original Recipe in Windowed Gift Box. 170g. Filled with delicious chocolate dipped bunnies.